The Maltby Tricept MG Tech Wedges are modified version of our best selling Tricept wedges featuring multi-groove technology for improved spin. The groove volume is slightly reduced to allow for 5 additional grooves to be added to the club face. The concept is simple, adding more groove edges while maintaining the same amount of total groove volume will add more friction between the golf ball and club face. In addition to the added CNC milled micro-grooves, the MG Tech wedges also feature laser etched scoring lines added to the club face for additional surface texture. 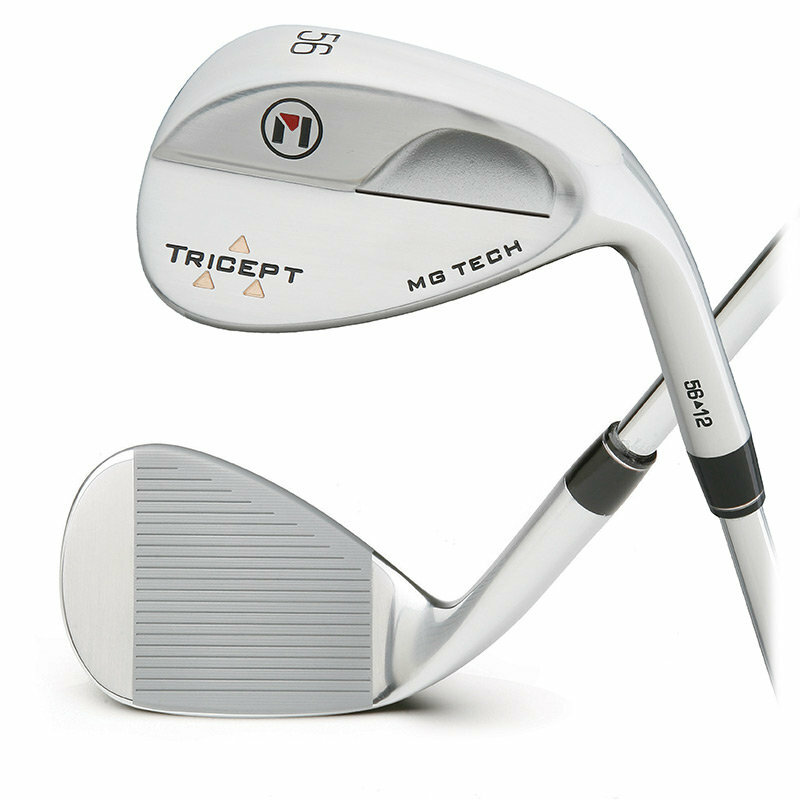 The MG Tech wedges feature a rolled leading edge and a four way cambered sole to help eliminate fat golf shots. The finish is a durable semi-mirror nickel plating that reduces glare but still has the appearance of a classic mirror-polished wedge.